Every Henderson driver knows having scratches on your car can be a nuisance while also affecting the resale value of the vehicle. From knowing how to fix deep scratches on your car to knowing how to fix paint scratches on a car, knowing this information will help Las Vegas drivers keep your vehicle looking good. If you’re looking to remove paint scratches from your vehicle, try toothpaste. Put a dab of toothpaste on a damp cloth, then rub it onto the paint in a circular motion. You’ll notice the scratch or scuff mark start to disappear. If you’re looking to fix deep scratches on your car, you’ll likely need to have your vehicle touched up or airbrushed by a body shop. 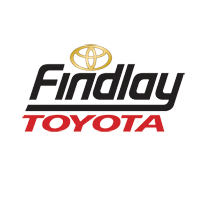 If you’re in need of repair to your Toyota RAV4 or other vehicle while in the Boulder City area, be sure to check out the service specials at Findlay Toyota to get your ride looking good as you cruise through Pahrump.